I write reviews for a number of reasons. Firstly, I love cinema and TV and music and culture in general and enjoy writing and thinking about the things I have seen and why I liked or disliked them. Secondly, as a writer myself I enjoy considering aspects from a screenwriting perspective and analyses what did or didn’t work for me. Thirdly, I guess from a narcissistic or egotistical perspective there’s a part of you that wants the attention or simply just confirmation that one’s opinions are being read or listened too. Ultimately, it’s a pastime and a bit of fun. Every now and then a film comes along which is hard to place and it makes you think and you actually have to apply yourself. You can fall into certain traps of structure or at worst formula when writing reviews. But with David Lowery’s majestic A Ghost Story (2017) he has delivered such an original work of cinema art it is difficult to follow one’s established reviewing rules. For starters it is difficult to even give you a brief synopsis of the film because it is so simple in its concept that the title itself sums up what the narrative is. It literally is a Ghost’s story! However, after establishing the accessible drama of the loss of a loved one, the characters move into a whole new level of complexity in regard to the supernatural, temporal, philosophical and metaphysical. The main cast are Casey Affleck and Rooney Mara and they brilliantly under-play a loving couple who share a property in a nameless place. Their characters are also seemingly nameless (referred to as ‘C’ and ‘M’ in the credits) and their normal lives are then torn apart when he dies in a car accident. In a beautifully haunting scene at the morgue ‘C’ “awakes” as a GHOST IN A SHEET! Yes, his Ghost is shrouded in a sheet with two eye-holes cut out. My feeling about this initially was how would the director make it work without possible derision? But, due to his sheer confidence in the idea and choice of shots, music and pace we are quickly enveloped by ‘C’s pale figure and his drama. From then on we see everything from the Ghost’s perspective and it truly is heart-breaking. I mean it takes guts for the filmmaker to cover his leading actor for the rest of the film but it genuinely pays off. My feeling about the sheet idea was that in death we lose our identity via our body, yet our soul lives on in the space where we existed. Our Ghost here is a genuine lost soul unable to move on and he literally haunts his home in a desire to stay with the one he loves. I also enjoyed the spirituality of the piece without once there being a reference to religion. It’s not about dogmatic belief systems but the purity of life and love. David Lowery has created one of the most original stories of the year and his handling of composition; editing and temporal structure is a masterclass in pure cinema. This film is hypnotic, tragic and one of the best of the year. It echoes the work of Bergman, Kubrik and Tarkovsky. I for one do like my conventional genre films with well-formed characters and clear plot-lines, but this film transcends cinema conventions and delivers one of the most poignant and melancholic experiences of the year. Plus, the score by Daniel Hart really augments the minimalist approach and often dialogue-free sequences. Overall, this is a meditative joy which is both unconventional yet in its unpolluted filmic poetry had me transfixed throughout. I’ve been very busy culturally speaking this year and here’s a rundown of the various things that I have experienced in the last month or so. 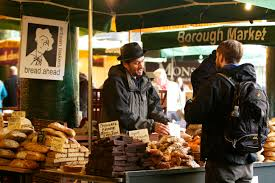 If you’re ever starving and skint (on a weekend) and near Borough Market then go there! You can live like a King or Queen (of Lichtenstein – don’t get carried away!) on all the samples they give away from: cheese to meat to oils to bread to, curries to burgers to scotch eggs to cakes and so much more. If you have money and DON’T want to live like a tramp then fill your boots; just don’t wear them after. Shut-up – it’s a metaphor. What I’m saying is the food is AMAZING – it’s an epicurean delight! 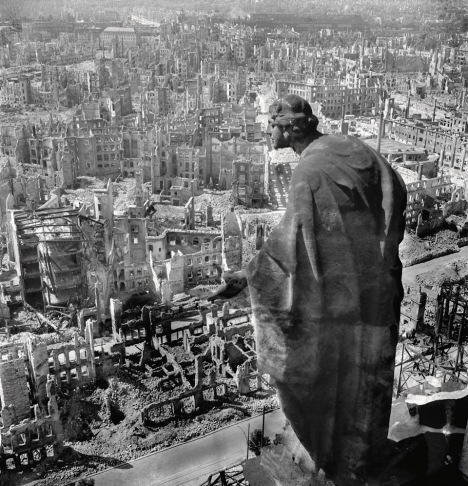 This fascinating photographic exhibition showed past and present images of war ordering them as per their chronological occurrence. It was an intriguing idea and many of the works were very moving indeed bringing home the horror of the multitude of conflicts humans have perpetrated on themselves. From proper war to zombie warfare on the Xbox One, I’ve thoroughly enjoyed playing this videogame in my down-time. It’s a stylish no-nonsense kill-fest with a reasonably coherent narrative unlike the mental horror game Evil Within. 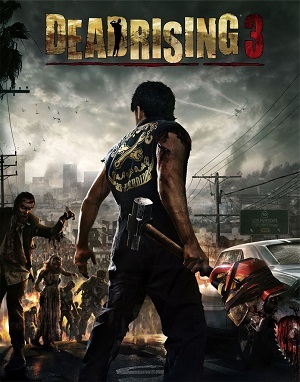 Set during 2021 you are mechanic Nick Ramos, an unlikely hero, and you must get out of the quarantine zone (established in Dead Rising and Dead Rising 2) while battling hordes of the undead and the military and SAVE your disparate rag-tag bunch of fellow survivors. It’s bloody brilliant and as you’re a mechanic you get some amazing hybrid weapons and vehicles to massacre zombies with! Myself and my girlfriend once again went to a follow-up concert entitled: Rachmaninoff: Inside Out featuring the compositions of the great Russian genius. I have to admit that having been to a couple of recitals this is just not my bag. I appreciate the wonderful talent on show and the incredible ability of the orchestra but I find the experience TOO passive and without narrative. I love classical music in films, radio, via the IPOD and even in adverts but not in the live environment. Weird! After my comedy binges of South Park and It’s Always Sunny In Philadelphia in the last couple of years I set about watching all 200+ episodes of this amazing ensemble comedy giant starring Steve Carell, Jenna Fischer, John Krasinski and Rainn Wilson my favourite character Dwight K. Schrute. Of course, it used the British comedy classic as a springboard but for pretty much most of the episodes it was just gloriously funny. I think it peaked around Season 7 and lost something when Michael Scott left but the final seasons still had some wonderful times and gags and events. It was all wrapped up with many happy endings by the finale and will stand as one of the consistently great comedies of our time, in my opinion. To cut a long story short I went to see Spandau Ballet in concert in Brighton. No, I haven’t lost my mind because I went as a new romantic gesture for my girlfriend. I basically took one for the team guys! But you know what they were absolutely fantastic and a testament to the professionalism and talent of Gary Kemp, Martin Kemp, Tony Hadley, John Keeble, Steve Norman et al that they delivered a powerful show full of hits from their illustrious past. I personally prefer their early Depeche Mode synthy stuff over their slushy ballads but overall it was a highly entertaining concert. Preaching to the converted here but if you like Stewart Lee’s comedy then I’m sure you’ve seen this DVD of his 3rd season for the BBC. Comedy Vehicle 3 mixes incredible stand-up rants, opinions and intellectual ideas and routines with fine sketches/short films; all interspersed with Lee verbally sparring with another comedy legend Chris Morris. 32-Carat Comedy Gold! Oh this was just terrifically meaty drama. I haven’t been to the theatre much in recent years but I was right in the heartland of culture here with a sinewy, socio-familial-gut-wrenching story driven by jealousy, self-destruction, masculinity-in-crisis, lust etc. The setting is New York, 1955, and Arthur Miller’s emotionally complex script shadows Eddie Carbone, a longshoremen at the docks, as he comes to terms with the chaos of family life, hiding immigrant ‘cousins’ from overseas, and the fact his adopted ‘daughter’ is fast growing into a woman. As Carbone attempt to control those around him his family are pushed further and further away until one act of treachery leaves him stranded socially and politically. Mark Strong is incredible as the docker Carbone as he sees all he loves slip from his grasp and he is ably supported by Nicola Walker who plays his wife. The sparse set made me feel like I’d walked into an intimate, yet souped-up rehearsal and the ending was something to behold as the family literally go to hell in the final moments. The play, not surprisingly, has just won Olivier Awards for acting and direction by Ivo Van Hove.